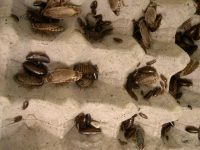 ***NO SHIPPING TO FLORIDA*** Turkestan roach (Blatta lateralis), AKA Red Runners, have almost replaced crickets completely for me (I now use banded crickets as well, which are fine). They have no smell, breed just as fast, are the same size, and seem to attract the mantids attention better with all of their fast movements. Best of all, they do not jump! If you are thinking of raising your own feeders and only had one choice, this would be my recommendation. 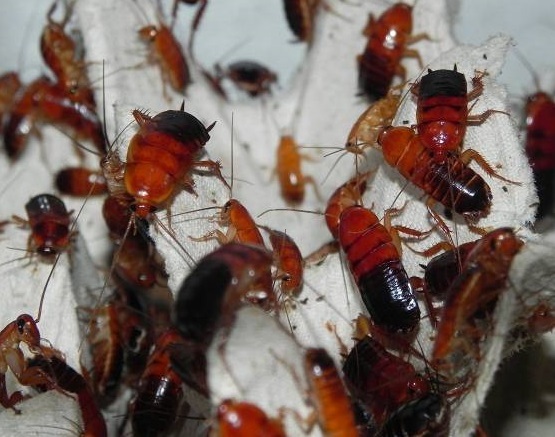 These roaches do not fly, nor are they able to climb smooth surfaces. Adult males have wings and are able to flutter downwards (if jumping down or dropped) but not upwards. 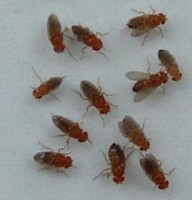 These are small nymphs, good for most species L3 to pre-sub. I will not ship these to FL due to state laws. If you order these and the shipping address is in FL, I will cancel the roach portion of the order and refund your money.